Lona Wilkinson (MacDonald) passed away peacefully surrounded by the love and support of family in the Weyburn General Hospital on September 4, 2018 at the age of 89 years. She was predeceased by her dear mother Mary Hadley MacDonald (Bartlett); her father Tom MacDonald; her step-father Jack Hadley; and her sister Gail MacFadyen. Lona was born in Bengough, SK on February 19, 1929, and her family moved to Weyburn a few years later. Times were tough during the 1930's and made even more challenging when her father Tom died suddenly of a heart attack at age 45. After Lona graduated from the Weyburn Collegiate, she studied Nurses Training at the Regina General Hospital, graduating in 1951 as a Registered Nurse. She lived in the nurses' residence and made many life-long friends during this time. She worked extensively in the Isolation Ward, where polio was ravaging the lives of so many young people. She was so grateful when vaccines were developed to help fight such horrible diseases. In November of 1951 Lona married Doug Wilkinson. They spent many busy, hard-working and happy years living on the Wilkinson Homestead farm two miles north of Yellow Grass, where they farmed and raised their four children. The farm life was a satisfying and wonderful way to raise a family. Lona was very involved in Church and community activities, especially CGIT (Canadian Girls in Training) where she served as the leader for many years, UCW (United Church Women), Community Band, and also supporting all the family in their many activities. She always had a large garden, did lots of delicious baking, cooking, and canning, and had a passion for caring for others. She helped set up Meals on Wheels, the Yellow Grass Drop-in Centre, and the Yellow Grass History Book. 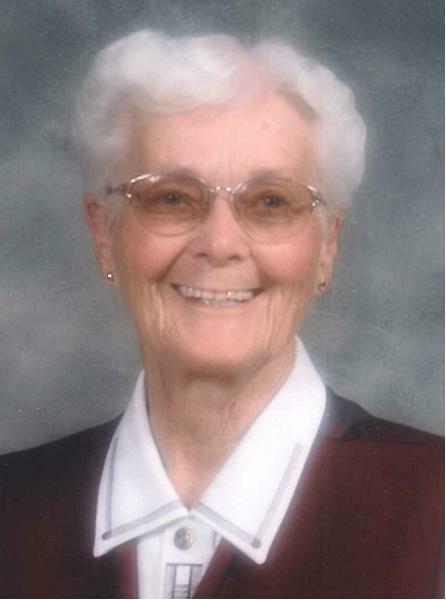 She also returned to nursing in 1970, working part-time for ten years in both the Weyburn General Hospital and the Weyburn Nursing Home, and served many years on the Home Care Board. In 1981 Doug and Lona moved off the family farm and built a house in Yellow Grass, SK where they continued to farm and be involved in family, church and community. They also enjoyed cards, shuffleboard, and following the grandchildren's sports, especially hockey! They spent many happy family times at the cabin at Madge Lake, SK with lots of cross-country skiing, cards, visiting, golf and fishing, and also went on special trips to Hawaii, Japan, Australia, Mexico, and the U.S. In 2012 Doug and Lona moved to Weyburn, and as their health declined, recently moved to Hilltop Manor , where they were able to stay together, receiving compassionate wonderful care. Lona was a dedicated wife, daughter, mother, aunt and friend. She especially loved her six grandchildren, and kept in close touch with them all. She strove to follow the CGIT motto to "Cherish health, seek truth, love God and serve others." She has left a legacy of caring that has enriched many lives. A Service of Remembrance was held Saturday, September 22, 2018 at 2:00 p.m. from Grace United Church, Weyburn, SK with Rev. M. Barnabas officiating. Luncheon was held at Upper Grace Hall, Weyburn, SK. Interment will be held at a later date. The family would like to thank the staff at Liberty Manor, Hilltop Manor and the Weyburn General Hospital for their wonderful care and kindness. In lieu of flowers, family and friends so wishing, may make charitable donations in memory of Lona to the Yellow Grass United Church, Box 159, Yellow Grass, SK, S0G 5J0 or Grace United Church Weyburn, 210 3rd Street, Weyburn, SK, S4H 0W6, or the Weyburn & District Hospital Foundation, Box 1416, Weyburn, SK, S4H 3J9 or a charity of your choice.